A new phase of Oblate formation is gradually being adopted (and adapted) throughout the Congregation. It goes by various names: “Regency” … “Stage” (mostly in French-speaking areas) … Pastoral Internship. GNOF 307: Rule 54 (now R. 65c) also envisages "pastoral experiences even for extended periods of time". During such periods, which may last a year or longer, ("regency", "stage") the candidates take part in the Oblates' apostolate. This enables them to know it better and to prepare themselves for it and test their ability to persevere in Oblate life and mission. Provincial formation directories will regulate these experiences. GNOF 308: The role of the community in which they live during this period is important, so too is the particular Oblate milieu and type of ministry. Greater emphasis needs to be placed on the formation of missionaries for life among the poor and destitute. An insertion experience in a foreign environment may also be useful in this regard. The Central Government continues to help Oblate units to better understand the place of regency as a normal stage in the process of first formation. It seems clear from the response received that a period of regency is being introduced in many places, and in varied forms. That is why the Council finds it necessary to define it as a period (of at least one year) during first formation – ideally before perpetual vows – during which the young Oblate has a chance to discern his religious and missionary life while living and working in an Oblate community that is not the community of the formation house. 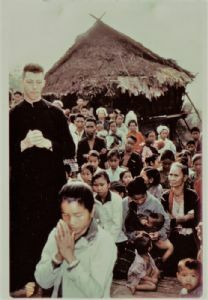 This experience aims to help him evaluate his Oblate life and ministry; to be evaluated by Oblates and lay people outside the formation community; to be involved in the life of the Church and the community in a non-formation context; and in some cases to have an international experience whereby he can evaluate his ability to live in other cultures. Exactly how this experience is lived varies from region to region. In some places, it takes place between philosophy and theology studies. In other places, especially where philosophy is completed before novitiate, it entails an interruption of theological studies, often between the third and fourth years. One complication that needed to be overcome in introducing the program was a previous practice in some Units of sending into a “pastoral experience” only young Oblates who were experiencing difficulties in their vocational discernment. The program, as it is now envisioned, is not in any way a “therapeutic” year, but a normal step on the journey to full involvement in Oblate ministry, for both priesthood and Brother candidates. Since formation programs differ from one part of the world to another, the actual implementation of these pastoral experiences varies from Unit to Unit. For example, in the Natal Province in South Africa, the Province appoints a coordinator for the regency year. He is responsible for the organization of an orientation session and organizes and schedules workshops, not only for regents, but also for their supervisors. He is expected to relate closely with the regents and help them with their various needs and concerns before, during and after the regency year. In some Units, such as the United States, an essential aspect of the “pastoral internship” is the input of a committee of laity at the ministry site. Besides getting feedback and encouragement from the local Oblate supervisor, the young Oblate also hears from the people who witness his ministerial style and presence and who are able to give him their impressions from a different point of view than that of his brother Oblates. When possible, Units are encouraged to assign their young Oblates to pastoral experiences outside of their own Unit and even in different countries. Contact with other cultures is enriching for the young Oblate, his own Unit and the Congregation at large. This number of Documentation presents the testimonies of a number of young Oblates who have already completed this experience. They tell of some of the challenges they faced and some of the joys they encountered. For several years, the Oblate community at the “mother house” of the Congregation in Aix-en-Provence has welcomed a scholastic for his year of regency. This is an excerpt from the comments of Alexius IGBOZURIKE-CHIDURUO from Nigeria who was in Aix in 2004. Before my arrival in France on September 18, 2004, I knew the country only from what I had seen on television. The idea I had was that I was going to live in a country known for its laicism and its politics and that was often on strike. I have the pleasant recollection, from the moment of my arrival in Aix on September 20, of the fraternal welcome at the station. 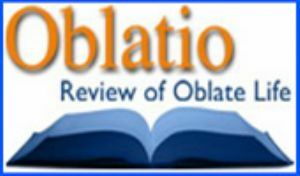 I started this regency wanting to learn about Oblate ministry and to learn more about myself. I saw it as an exercise in availability. I spent my regency at the “mother house” and at St. Paul 's parish. Immediately I had to adapt to the climate, to the food, and to a different way of thinking. Many were my first impressions, discoveries, surprises, and questions. First of all, I noticed that very often the people seemed to be in a hurry, and consequently, they did not have time to say hello. My first discovery in the community was, of course, its international makeup. This internationality, as I lived it, remains for me a value and a great challenge. I found wonderful support on the human and spiritual levels. The faithfulness of some members of the community at common prayer was a good example for me. Our fraternal life together was often nourished by little stories and jokes that put us all at ease. And I remember the birthdays and feast days joyfully celebrated and the community outings. That's something I have found in many Oblate communities. The openness of the community in Aix for outsiders is something I greatly appreciated. To give people a place in the very heart of the city, where they can feel welcome and listened to -- isn't that already a way of proclaiming the Good News of salvation? The challenge I faced in living in this international community was living with people with different temperaments and still to be myself. Coming from a different culture, I knew it was going to be difficult to understand one another. Our differences should not be denied. They become a value only if we take the time to face them in honest dialogue, without prejudice and fixed ideas. 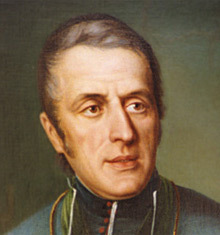 I told myself often that if we were together, it was because one day, St. Eugene de Mazenod heard the call of Christ and responded to that call. And it is because we want to show that another world is possible, one where cultural differences enrich us and open us to new horizons – a world where we see ourselves as brothers and sisters within the same humankind. That helped me to overcome certain difficulties that could have held me back. And I believe that this daring to live together the Gospel values is really a witness that one could call “prophetic” in a society where cultural differences sometimes make people afraid. Let me tell about my experiences at St. Paul parish. What comes to mind immediately is the first mass in which I participated. I quickly noticed the multicultural makeup of this parish. That is something often emphasized during the so-called “international masses” and on big feasts like Christmas. I remember having expressed this wish: “to live a pleasant gospel experience with the parishioners.” And as the days and months went by, I discovered in this parish a certain dynamic that is there, not so much in the presence of some young Christians, but in the spirit that animates it. It was that active participation of these Christians that impressed me. I met such welcoming people. I also got to know different groups with which I worked (Catholic Action for Workers, Movement of Christian Retirees, Gospel Service of the Sick, the youth group, etc.). I believe that each of them creates a place where Christians can put the Good News into practice and can encourage one another. In a word, I am happy and proud to have done my regency in this parish. But there is still a lot to be done, especially in liturgical animation, something that is very important for me. One of the best experiences for me was the time I spent as chaplain to youth. I treasure the memory of this experience: our important times together for pilgrimages to Notre Dame du Laus and to Lourdes. I emphasize here the encounter I had with the “sixth form,” who came together before Holy Week to discover “the sacrament of penance” with St. Eugene and with the Oblates. I was touched by this experience because these youngsters paid exceptional attention to what I had to say. I lived each gathering as moments to invite them to open themselves to the love of God in their lives…to develop their baptismal faith. I had the opportunity to get to know the Comité Catholique contre la faim et pour le developement (Catholic Committee against hunger and for development). 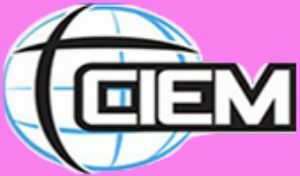 This organization taught me a lot and opened my eyes to the problem of underdevelopment and the activities it undertakes in partnership with concerned persons, especially in developing countries. For me, it was an opportunity to become aware of such realities as the lack of food and the inequality of the sharing of the world's wealth. I have a new attitude toward what is happening in Africa. Sometimes, it makes one feel powerless when faced with this situation, but activities such as signing petitions and developing fair trade are more than just drops of water in the ocean! What conclusions should I draw from all of this? I believe that this regency has been for me a time for the discovery of others, but also of my abilities, my limits, and myself; and it has been a time to strengthen my vocation and get me ready for the mission of today and tomorrow. I have formed some positive conclusions. 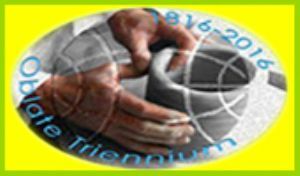 Today, I know a bit better the life of our Founder, the Oblate Province of France, and its animating spirit. This regency has given me much, and I am grateful to all those who helped me immerse myself in this French culture and to grow there, spiritually and as a human being. I am grateful to the Oblate community at Aix-en-Provence. I hope that we will take the time to understand the signs that God sends us through all the changes that we and other Christians are experiencing here in France. For me, it is very important to look at the world through the cross of the crucified Christ, as our Constitutions and Rules invite us to do. And I continue my formation desiring to understand what the world expects of the Church, because it's imperative that the children of light be as adept as those of the world. An essential element in the formation of Italian scholastics is to spend at least one pastoral year in the missions, if possible in a foreign country, after the first phase of theological studies. They often bring back a new way of looking at the reality they have experienced. Claudio Corleo, from the Oblate scholasticate in Vermicino, Italy, is currently having such an experience in Guinea Bissau. 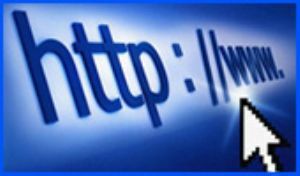 Here I am writing you directly from the capital, Bissau, mostly because it is there that I have found an Internet connection. 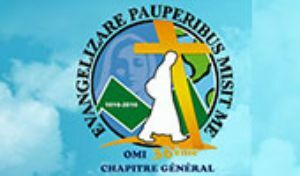 I have been in Guinea for the past three weeks, in Farim, where the Oblate mission is located. It is an international community: we are three Italians and two Senegalese. This makes things very interesting. Actually, the official language of the country is Portuguese, but the people always speak only Creole, which is derived from ancient Portuguese, while in community, we speak French! When I can, I try to remember my Italian. Presently I am trying to learn Creole, which, on the one hand, has a very simple grammar, similar to Portuguese, but on the other hand, it has some grammatical constructions that are totally different from our own. Every morning, Zando, a fellow from Farim, comes and, with the patience of a saint, he introduces me to the language and a bit of the culture. Life in the “city” of Farim is lively; the public school, for political and financial reasons, has not yet begun, so in the morning, it is easy to find a bunch of children playing ball outside of my room. The soccer field is somewhat strange; it is located amid large shade trees. The only disadvantage is that the trees are in the middle of the field. The mission covers a lot of territory. Given the condition of the roads, every trip is a challenge. The various Catholic missions are also, in a certain sense, training centers. Next to the churches and the chapels there is almost always a school, a carpenter shop, a clinic. Various activities of this sort take place in the town. I had the opportunity to take part in a diocesan meeting where there were representatives from almost all the religious communities present in Guinea. I was amazed to see so many men and women who have dedicated their lives out of love for these people. One afternoon, I found myself at the front door of our house when some children came along. I had seen them some time before when they came to play soccer. After a few words, I gathered that they wanted to eat some of the “ tranjalina s” that were on the other side of the house. “What are tranjalinas,” I asked myself. After a bit, they explained to me that they are fruit, citruses something like an orange. What should I do? Should I give them permission? There was no one else in the house to ask. So I said, “Go ahead! You can take two tranjalinas each, one for yourself and one for me. I want to try them too.” After a few minutes, they returned with these small citrus fruits, and how sour they are! Two plus two plus one are five. Maybe math works differently here. In fact, they appear with their shirts full: there are more than 20 tranjalinas. I pretend to be upset: “I told you two per head and two are two!” So we began to play a bit and for dessert, they don't mind taking some of the fruits I had denied them. And that's how I got to know Elmer and Romario. Now I meet them every evening at 7, when they come to church for the rosary. For those who are still curious, tranjalinas are something like limes, very green and bitter. The rest of them (which obviously I did not give to them!) I left in a corner near the door, but little by little, they too disappeared. Brian Chama is a first year theology student at the International Scholasticate in Rome. At the conclusion of his philosophy studies at St. Joseph's Scholasticate in Cedara, South Africa, he returned to his native Zambia for a year of regency. Most of that experience was spent in the Oblate parish in Kalabo, Western Province. I arrived at St Michael's Parish on February 1, 2004, around 13,00hrs, during the summer's wet season. 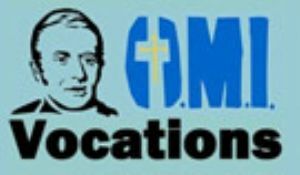 The parish I went to is run by the Missionary Oblates of Mary Immaculate. It is located in the Western Province of Zambia, about 30 kilometres west of the Angolan boarder. We arrived in Kalabo after four hours of cruising by speedboat along the Zambezi River, and then following the Lwanginga tributary, until we reached the place which would become my home for one year. The mode of transport to reach Kalabo during the rainy season is by water, and during the dry season, by road, which is then covered by Zambezi sands. It was my first time to go to that parish. I still vividly remember that day, when I arrived with Fr. Ron Carignan, our former superior, Deacon Vincent Sakala, now a priest, and Fr. Kelvin Lubinda. We were welcomed by Fr. Joseph Phiri at the local harbour. I did have a few difficulties in the beginning. Firstly, I didn't know the Lozi language which is widely spoken in that part of the country. Secondly, I had a phobia of travelling along the crocodile-infested Zambezi River. Thirdly, the deep sandy soils made my driving hectic in those Japanese-made Land Cruisers. It was the five days I stayed with Fr. Ron Carignan that kept me hopeful, for he frequently encouraged me to take it easy and to relax. Eventually I did relax. Fr. Ron was only on a visit and he went on to visit other Oblate units in the Western Province. Then the activity started. Fr. Phiri and Fr Sakala were my regency supervisors. I was given the responsibility of parish youth coordinator. The parish has more than 50 out-stations. I was also coordinator of youth programs at Kalabo High School and Lukona High School. Besides youth ministry, I also did prison ministry at Kalabo State Prison with the Comboni Missionary Sisters, who work hand in hand with the Oblates at the parish. After three months at the parish, I settled in, and all my fears and pre-conceived ideas disappeared. Living in the parish taught me a lot of things about life. The structures in the parish were far different from the scholasticate. This demanded a lot of adjustments to my lifestyle as a whole. I loved my youth ministry. I came to love the place because of its quietness and the simple lifestyle of the people whose livelihood depends on fishing and small-scale cassava and rice growing. I finally learned the Lozi language and this became a big breakthrough into the local people's way of looking at reality. I became like one of them by the mere fact that l could now hear them in their dialect and speak their language. I realised that people at the parish and those nearby were not only poor but destitute. The Western Province is the poorest province in Zambia. The people of Kalabo need not only spiritual support; they need material support too. I also encountered Angolan refugees who have vowed not to return home in spite of peace arriving in that war-ravaged former Portuguese colony. These people too are destitute and ministering to them was not only difficult but painful as well. I realized that many people have lost meaning in their lives, and the modern world is far more complex than before. Poverty levels are on the rise. Many people question realities in their lives which years back they would have taken for granted. Some destitute persons that I encountered would tell me straightforwardly that they thought there was no reason in the foreseeable future to live. Being away from studies for one year was very helpful for me. Even though there are different ministries in the Oblate Congregation, many of the students in formation may end up in one parish or another if they happen to become ordained ministers. This is why I did appreciate regency, because it opened me to a lot of realities. For me, it was a period of discernment, growth and renewal. I thank the formation team in the Zambia Delegation, the formation team at St Joseph's and the community at St Michael's parish in Kalabo, who have helped me to broaden my horizon and the way I look at life, especially religious life, priesthood and my own vocation. The one year I spent in the parish went so fast and I even felt like staying for another year. But I took each day, one at a time. Another thing I realized is that the parishes need more personnel because the work is so demanding considering the area the parish covers. And finally, the year I spent in the parish was worth it. I thank the Lord for making it happen. David Muñoz is a scholastic from the Province of Spain. He finds himself this year living with the Oblates in Uruguay. As I complete the first month and half since my arrival in Uruguay, I sit down to write these lines with the hope of sharing with you this brief but intense period of time. Uruguay welcomed me with cold, wind and rain. The customs officials gave me problems because of the missionary gear I brought with me for the Pontifical Missionary Works here. Was this an ominous beginning for my experience here? Not at all! No sooner had I passed through the doors of the airport when my Oblate brothers, who were waiting for me there, gave me an awesome welcome. It was that blessed hospitality that demonstrates and makes alive the essence of the charism of Saint Eugene! Availability, patience in explaining things, good cheer and brotherhood in the mission, these are the attitudes that I encountered everywhere among the Oblates in Uruguay. Providence offered me a lot of activity in my first days: no permanent community, a parish mission in the heart of the country, a traffic accident… Finally, after a month, the situation became clearer. I would stay in the community at Playa Pascual until the end of my regency. My pastoral assignment would be to take care of youth ministry, and within the community, I would provide a bit of stability with my more regular presence, and I would help with the upkeep and the everyday life of the house. If I were to sum up what I have lived in three words, they would undoubtedly be: encounter, mission, and God. Above all, there are my encounters with each person, with each Oblate, each catechist, each child, each animator, each teenager… Each encounter is a special moment because they entail so many, many new discoveries. The social reality of Uruguay is very complex and full of contrasts, a faithful reflection of the heart of the people of this country. Sometimes I ask myself that old and universal maxim: “Which came first, the chicken or the egg?” Are the Uruguayans the way they are because of the social situation or is the situation what it is because the Uruguayans are the way they are? The sentence that Mingo (the Oblate in the community who is helping me the most to introduce me to ministry and life here) is this: “The situation of this person is very special…” After saying that, he begins to enumerate all of the circumstances (family situation, neighborhood problems, drugs, prostitution, problems with sects, etc.) that explain in some way the words and the actions of such and such person. My conclusion at this point is this: it is not at all easy to live in Uruguay. Mission, and I would even say, Oblate mission. If we Oblates are called to proclaim the Gospel of Jesus to the most abandoned, Uruguay is not a bad place for us Oblates to be. When one leaves Montevideo and three or four other cities of this country, and especially if one goes into the interior, one cannot but ask: These people – who cares about them? They have no money; they have no culture; they don't have great ideals and great hopes; they don't have great faith; they don't have… They are people abandoned by society and whom the Church barely touches in baptism and little else. If we Oblates don't go out to encounter these children of God, who will go? God is the great protagonist in the life of the people and of the mission. While I've experienced many new things externally, it's also true that I am experiencing the Lord in a new way within myself. I don't know if I am theologically correct, but it seems to me that discovering a new face of the poor leads me to discover and experience a “new” face of God. Nor am I sure whether it is He who is changing or whether I am changing through my contact with this new reality. The only thing I know for sure is that I am happy living all that the Lord is putting in my path, with its difficulties and challenges; I feel great, happy and full of hope. I thank the good God who called us to this life and this mission, for all the people that I am meeting and for all of you, my brothers, always united in a mysterious way through the bonds of love and of the Eucharist. Marius Trzaski is an Oblate scholastic from the German Province. From November 2004 until August 2005, he lived his regency experience in several locations: Kimberly (Central Province of South Africa); St. Joseph's Scholasticate in Cedara; and in Namibia. He has returned to the Oblate Scholasticate in Lahnstein to continue his studies. We Oblates usually spend a certain time abroad during our studies in order to gain new experience and new impressions. This includes getting to know other cultures, learning a foreign language, living a missionary experience, and gaining insights into the circumstances of the Oblates in other countries. Since we are an international missionary congregation, such experience acquired abroad is of great value to us. My story had a simple and innocent beginning but took an unpredicted turn and ended in prison – as strange as this might sound. On some days the English classes which I attended had to be cancelled as Sister Angela (our teacher) was busy. One day she asked me if I would like to accompany her to prison. I was a bit surprised, but also a bit curious as to what would await me in prison. So I agreed to go with her. Today, I am pleased to say that the experiences that I had there in prison during my 9 months' stay in Africa were the ones that left their mark on me. I am not sure if Sister Angela was at that time aware of what a great impression her blessed work would have on me. On 4 November 2004, I arrived safely but a bit tired in Kimberly (Northern Cape) after a 19-hour journey. The provincial of the Central Province, Father Michael MORRISSEY, welcomed me and we then went to the little monastery, the provincial house. I spent the next 3 months there. My task was to learn the English language. Sister Angela, a member of the Dominican order who lives in the Bonifazius Convent 2 km away, became my English teacher. I would like to tell you about what I was allowed to experience with her. And one could really feel this. Sister Angela treated the prisoners lovingly, friendly and with respect. These feelings were honest and reminded me of Mary's patient love that she gave to her son when he was crucified. I am quite sceptical as far as a quick conversion or change of the prisoners is concerned. However, I had the strong feeling that God's mercy is omnipresent there. It was this experience that made me again recognise how important it is to visit the poor and the prisoners and to bring them the holy message that lets us live in the hope that God does not forget anyone and that he always makes the impossible possible – even in the most difficult situations. The Oblate community in which I was allowed to spend the next 5 months, the Oblate scholasticate in Cedara, had 60 students from different African countries and cultures. St. Joseph's University at which we studied currently hosts 200 students coming from various communities. To me this was a unique experience – spending a period of time in a community with so many young Oblates with different characters and talents. During the university vacation, the students in Cedara do a pastoral period of practical training. These periods of practical training are passed in different countries, missions and parishes throughout Africa. I was very happy when it was decided that I, too, was allowed to go to Namibia for a practical training with 5 other brothers. Epukiro (200 km east of Windhoek) was my journey's destination. It is one of the oldest German mission stations in Namibia. In 1903 the Betschuana people who were distributed over the whole country were settled on this farm. They built a little village with traditional houses and named it Epukiro (the last place of refuge), due to the fact that there is a spring there and that water is vital. Next to this village the mission erected a church and a school. The farm with its animals served the mission as an important source of income. At present, the mission is run by two Oblate pioneers: Brother Herbert Stommel, who has been working at the mission for 50 years, and Father Georg Geiger, who is 86 years old and who spent many years at a different mission, St. Michael. He came to Epukiro one year ago. I worked at the modern primary and secondary schools that were built by the mission in Epukiro. I was allowed to teach religion in classes five through seven for 3 weeks. To summarise my stay, I can say that I was given many encounters, insights and far-reaching experiences during my 9 months' stay in Africa. What I learned is that it is very important to cultivate a cultural exchange between Africa and Europe. It would be very helpful for Africa if teachers and missionaries from Europe were sent there. On the other hand, it would also be useful to invite missionaries from Africa to Europe. This exchange could surely be positive for both cultures. We would perhaps, on the one hand, be able to distance ourselves from our European rationality and enjoy the Africans' relationship with nature and their emotions. They, on the other hand, could learn from our culture. For those who do not know me, I am Alain Iván Romero Heredia, a Bolivian Oblate scholastic. They asked me to share my missionary experience, something I do with much joy. I lived my experience in 2003 in Brazil, at that time the Province of Sao Paulo. I received a very fraternal welcome from my brother Oblates and especially from the Provincial, Fr. Joanil DA SILVA. Having completed three years of theology at the Catholic University of Bolivia, the provincial invited me to do a pastoral year. I asked to return to Brazil where I had made my novitiate so that I could learn more about the Northeast at Curaçá, Bahía. My fellow community members during the experience were Brother Gerard GROENEN (Dutch) and Fr. Erasmo DE AQUINO (Brazilian). Besides them, I also worked with the parish team and the Franciscan Catechist Sisters of Iracema, Luciene and Silvana. There was also a lay collaborator, Antonio Mangavera, who worked full-time for the diocese. You might wonder why I have mentioned their names. For two reasons: to show that we were living internationality and together with other communities and with laity. I really learned a lot from them. Often they say that “God calls us” personally. More than that, I believe that besides that call, he also “captivates” us. As Oblates, we are “captivated” by the God of the poor. This simple people of Curaçá, Bahía, taught me not only to live our charism, but also to nourish the spirituality that comes from St. Eugene. But what sort of spirituality? The spirituality of a simple and humble faith, of trust in God who is a father who accompanies us, who offers us life and health and above all, allows us to live with the barrenness of this region. The Base Ecclesial Communities are very much alive in this place and it was a privilege for me to be able to drink from this fresh stream of water. For the whole year, I went around to the communities, visiting families and the sick, encouraging them and accompanying them in their faith. The culture and the language were not major problems for me in communicating the message of Jesus Christ. The people were very welcoming as I would arrive on bicycle under the hot sun. Often the temperature was over 42 degrees Celsius. That was when I liked to take a nice cold bath. Often I had to make my visits at night, because in the daytime, the people were at their small farms working the land. The place is blessed by the San Francisco River, providing a harvest of fruits, vegetables and what they like the most, beans. However, there are also many areas where there is a lack of water, so the people raise goats. These places are the “other face” of Brazil which people don't know very well. But it was my mission. After that year, I returned to my Province, a better person because of a wonderful experience and with a heart full of affection and love for the people of Northeast Brazil. Simon PAYABO, a young Oblate from Tchad, experienced his year of regency (stage) at Aix-en-Provence in 2003. I went to Aix to live something! The one who lives something rejoices humbly in that which is already there. What is important is to live with what is already there and with those who are like you. God gave us everything; one cannot but rejoice in the wonders he has made for us. There are two aspects of my life in Aix that had a particular impact on my life. The first was the warm welcome of the Oblates of the local community. I really felt at home. I was with my family. I was happy. Every member of the community helped me first of all to grow as a human being, and then, to learn more about the Oblate charism. I received so much from them and I am so grateful. The second thing was the very magnitude of our pastoral activities, contrary to my prior expectations. I had a lot to do. But let us be clear: “a lot to do” meant a lot of things to live with the people. At St. Paul's Parish, there were meetings to attend with members of various Catholic groups (Catholic Action for Workers, Christian Retreat Movement, Gospel Service of the Sick, etc. ); there were catechism lessons; there were wonderful moments spent with the students from the parish, the visit with the gypsies and the meetings with the pastoral team. I will never forget my pastoral experience at the Youth Village at Lourdes that year. When the pastoral activities had finished at the parish in Aix, I went to lend a hand at the “Youth Service” of Lourdes. I was there from June 29 until July 13, the first summer session. Our service consisted in accompanying the pilgrims “in the steps of Bernadette,” taking them to visit the shrines, helping them at the pools, leading the Way of the Cross and welcoming them. They were two busy and exciting weeks. Our time was committed to others…the pilgrims. That's what I tried to do during my time at Lourdes. Accompanying the pilgrims “in the footsteps of Bernadette” was an opportunity for me to proclaim the Good News of Jesus. Bernadette lived the Gospel of Christ. That's why she is a model for us today. The story of the apparitions is nothing more than a springboard leading us to grasp the main message of Lourdes, which is Christocentic. It is in this perspective that I go so far as to define Lourdes as a place of evangelization. All of these experiences were formational for me. While in France, I was never bored by anything. I always found interesting experiences to live with the people. I have had pastoral experiences in both France and in Africa. What more can I say? In both places, there are things that can foster one's Christian life and things that can destroy it. As witnesses, should we not live authentically? Not only did I take part in these important activities, but even better, I learned to live with the people who crossed my path during my apostolate and whose culture is completely different from my own. Therefore, I must be part of both of these worlds and give authentic witness to Christ, in order to show them that everywhere, there is hope. In Africa, there are many young people filling the churches; there a many priestly and religious vocations. That shows that the Church is young and vibrant. What beautiful liturgies we have, with wonderful songs and dance. It's a good sign. It's true that in France, in general, young people do not come to church any more. Should we be crying out that everything is finished, that there is no more hope for the Church in France? My regency in France helped me discover that the answer is “No!” There are many young people who believe, but they don't express their faith in the same way as they do in Africa. They have their times, their powerful moments, such as pilgrimages organized by school chaplaincies, when they live their faith deeply, in prayer, in sharing the Word of God, in the sacrament of Reconciliation. I would conclude by saying that during my regency in Aix, I did not get time to be bored. I had many activities. In my apostolate, I tried first of all to adapt to the live of the people, and to develop good human relationships with them.